Sabrina is originally from Calgary, Canada. She trained intensively in Ballet, Jazz and Modern dance in her early studies and went on to work at the international level in London, England. 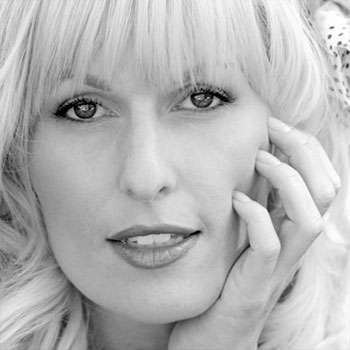 She taught Master classes at The Pineapple, Danceworks and The Urdang Academy and toured with Virgin Records recording artist Annie. Sabrina has worked as a teacher and choreographer at many dance studios around the US and Canada and currently teaches at EDGE in Los Angeles. Her degree in Exercise and Health Physiology provides her with an exceptional understanding of the human body and the mechanics of movement. Her classes are distinctively challenging, with a strong focus on placement, correct technique, strength and agility. As a respected teacher and choreographer, Sabrina has trained pop singers, celebrity actors, and even Hollywood starlets! She has performed with dance companies including Sera Danza, S.H.E. and Unity Dance Ensemble, directed by Tessandra Chavez of So You Think You Can Dance. Sabrina appears in commercials for Hip Hop Abs, Dex/Dexknows.com and Corvel. You can currently see her choreography in the stunning new music video, “Clear” by Jenna Bryson.